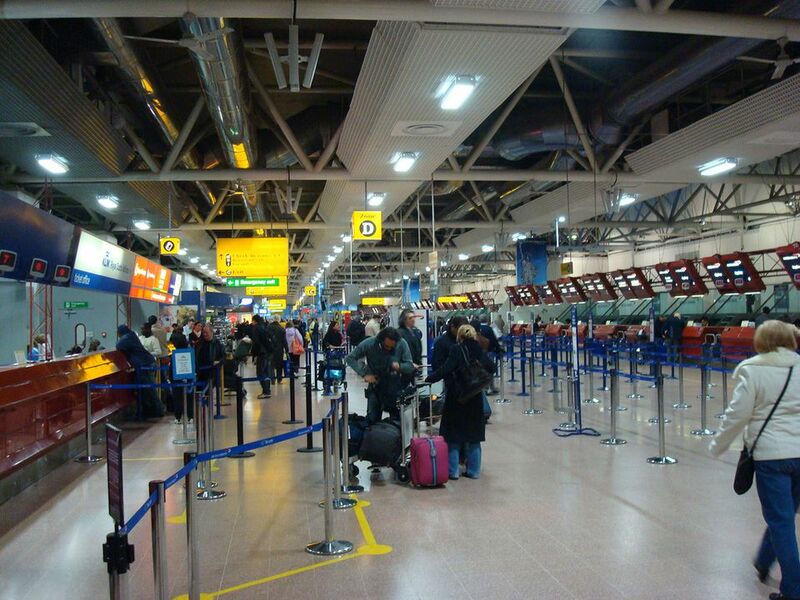 London Heathrow (LHR) is one of the world's busiest international airports. There are now five terminals at this massive London airport. Terminal 3 is used primarily by OneWorld alliance members including American Airlines, Cathay Pacific, Finnair, Japan Airlines, Qantas, Royal Jordanian, SriLankan Airlines, TAM, and British Airways for both domestic and international flights. When you enter the terminal, check-in is located on the ground floor at the front of the building and the departures area is above the check-in desks on the first floor. Security checks are understandably intensive at such a major airport, so allow plenty of time to check-in. You are advised to arrive at least 3 hours before your departure time for long-haul flights but you may need longer. You can save time with online check-in and self-printed boarding cards or by downloading the boarding card onto an App. Ask when booking your ticket if your airline has this option. You must present your goods and the VAT Export Refund Form to UK Customs at the airport before checking in your baggage. The line can be long, so be sure to allow plenty of extra time. Of course, this can be worth it if it means you save a few hundred dollars in VAT. Usually, one piece of hand luggage is allowed on board (not including a ladies purse/handbag or briefcase). The restrictions do differ depending on the airline, however, so be sure to consult the BAA Heathrow hand baggage restrictions. Heathrow's size means that you should allow ample time for walking between important places. Below is an estimate of walking and waiting times, but you should always err on the side of caution so you don't miss your flight! Walking time from the tube station to the check-in desks is approx. 15 minutes or more. Walking time from the check-in desks to security control (the passenger-only area) is approx. 10 minutes or more. Waiting time at the first passport control is approx. 5 minutes or more. Your wait at the bag scan area will be a minimum of 15 minutes but could exceed 30 minutes to an hour. The final passport control area wait should be around 5 minutes. Now that you have arrived at the departure lounge, you will be able to some duty-free shopping, as well as purchase both food and drink that can be taken on board most flights. When your shopping is done, it's important to check the flight screens for your flight's boarding time and check the time needed to get to your departure gate. It is suggested it can take up to 40 minutes to get to some of the furthest gates. Boarding tends to start about 45 minutes before the departure time and it can easily take this long to board hundreds of passengers so don't leave it until the last minute. Airlines pay huge fines if they miss their departure slot, therefore if you are late they may put out an announcement depending on the time left, or they will have to leave without you. Your journey through Terminal 3 is almost through. However, you will most likely have to wait in line (or the queue as it's called in England) to have your boarding card checked. Once you enter the gate lounge, you'll form one more line before boarding the plane, and then you can find your assigned seat.